Flash Thompson is Spider-Man's biggest fan. That hero worship inspired him to join the Army, where he became a decorated war hero. And though he lost his legs, Flash never lost his dignity - or his desire to serve. Now, the government has offered him a chance to don the alien Venom symbiote and be a hero once again! Flash Thompson is Venom, the government's most lethal special operative. But Flash soon finds himself losing control of his own mind to the symbiote! And when his nemesis, Jack O'Lantern, blackmails Flash into serving the merciless Crime-Master, can Venom complete his mission and save his loved ones? Plus: What if the Venom symbiote bonded with…Deadpool?! Rick Remender's gripping run is collected in two volumes! 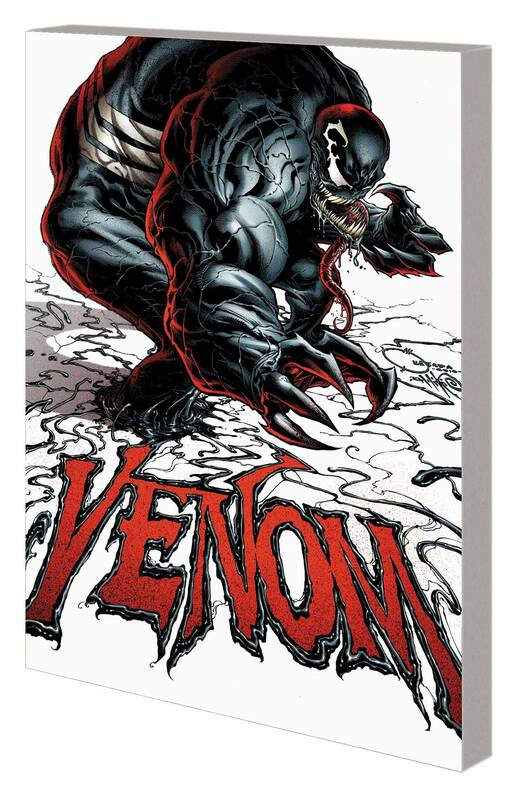 Collecting VENOM (2011) #1-12 and VENOM/DEADPOOL: WHAT IF?